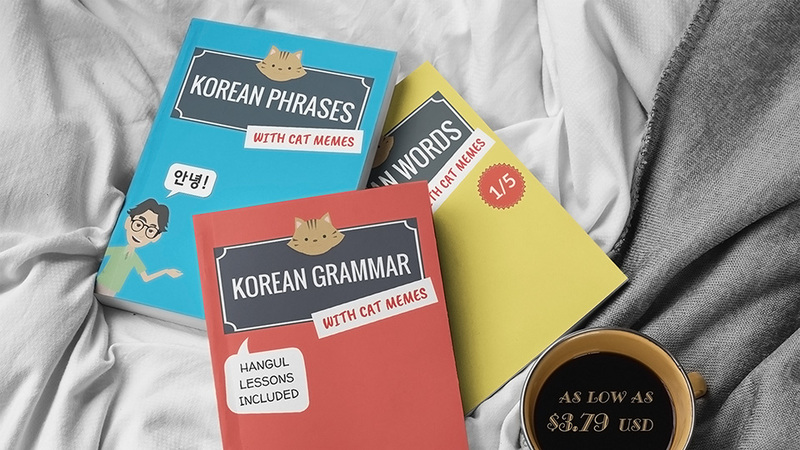 EASY KOREAN lessons are designed for students who may or may not have any knowledge of Korean. So knowing the Korean alphabet is only optional. Every Korean word is provided in 한글 (Hangul) and English. Remember, babies learn to speak before they learn to read. You can always study Korean characters later. But Hangul is super easy and it can only make learning Korean more fun. So why not spend the next half an hour and learn the basics of Hangul? The lessons are free! Hello, guys. This is EASY KOREAN. So far with our Korean lessons we haven't really dealt with Hangul, the Korean alphabet. So I thought this may be the right time to introduce you to Hangul. Before we begin, let me talk briefly about what Hangul is. 한글 (Hangul/Hangeul), the Korean writing system, was invented in 1446 by a Korean king, King Sejong, and his people. That would make Hangul less than 600 years old. That's pretty recent. Now the reason why Hangul was created is because so many people had a difficult time reading Chinese characters at the time. There are thousands and thousands of Chinese characters like these and many people couldn't spend time to memorize these characters. So King Sejong thought why not create a new writing system that is really easy to learn. And that is exactly what he and his men did. So thank you, King Sejong. All right. So let's get started, shall we? Just like in English, there are consonant parts and vowel parts. First, let's talk about the vowels. In this video, we are going to borrow a couple of consonant letters from the English alphabet, B and D. So here are some Korean vowel shapes. Notice how the first set is made up of long vertical lines and the second set is mostly horizontal lines. The top parts go to the right side. The bottom parts go below a consonant character. ㅣ (ee), ㅏ (ah), ㅑ (yah), ㅓ (uh), ㅕ (yuh). ㅡ. This is eu, eu. ㅗ. This is oh, oh. ㅡ (eu), ㅗ (oh), ㅛ (yoh), ㅜ (woo), ㅠ (you). Now can you guess what this word is in English? This vowel letter (ㅏ) is called ah. So it is 'dart,' dart. This one (ㅓ) is uh. So it is 'dirt,' dirt. What about this then? That's right. 'Bird,' bird. This sounds like 'boh,' 'boh.' Notice how the vowel shape is below the consonant and not to the right. This is because ㅗ (oh) has a long horizontal line. This sounds like 'boo,' 'boo.' Again, because of the long horizontal line, it goes below B. Now what is this? It says, "bi bi di ba bi di boo." Bibidi babidi boo. All right. Let's talk about vowels some more in the next video. Please subscribe to our channel and I'll see you next time. Hey, guys. Let's continue on vowel shapes. But before that, let's do a quick review of the first video. Now let's do seven more. ㅘ (wah), ㅘ (wah). Now this one is made up of two parts. One on the right and one on the bottom. ㅢ (eui), ㅢ (eui). For some people, this pronunciation may be difficult at first. ㅢ (eui) is a combination of ㅡ (eu) and ㅣ (ee). So if you say ㅡ (eu) and ㅣ (ee) really fast, you get ㅢ (eui), ㅢ (eui). Now time for some practice. Which one says 'BEN?' What about 'BAN?' The top one is B-A-N, BAN. The bottom one says B-E-N, BEN. Which one is ㅚ (weh), ㅚ (weh)? The third one from the left. Which one is ㅝ (wuh), ㅝ (wuh)? The second one. What about ㅟ (wee), ㅟ (wee)? The last one. And ㅘ (wah), ㅘ (wah)? The first one. There are a few more vowel shapes, but these cover about 90% of all vowel parts used in Hangul. The others are ㅒ (yaeh), ㅖ (yeah), ㅙ (wae), ㅞ (weah). Don't worry about them too much right now. You can study them later. Now I'm going to introduce this consonant shape, ㅇ, ee-eung. This is not O. Its name is ee-eung and basically it works as a space filler, meaning it doesn't really have a sound of its own. So the left side is basically the same as the right side. The only difference is that the left side is incomplete, whereas the right side is a complete letter. The first row and the second row sound exactly the same. We will talk about consonant parts in the next video, so don't miss it. Hello, guys. In the next two videos, we will cover all the consonant shapes. Here are ten consonant shapes we will discuss in this video. The first one is ghee-yuhg, ghee-yuhg. Unlike the vowels, the consonant parts have unclear names. So I'm just going to call them by what they sound like. As long as you know the sounds you don't really need to know what their names are. The next one looks like this (ㄲ). Now this (ㄲ) is just ghee-yuhg + ghee-yuhg. You know, 'geu' + 'geu.' That's why it's called ssahng-ghee-yuhg, meaning double ghee-yuhg. There are five double consonant shapes in Hangul. They sound much stronger than the single ones. So this (ㄲ) sounds like 'ggeu,' 'ggeu.' ㄱ (geu), ㄲ (ggeu). Now this (ㄸ) is the double form of 'deu.' It is 'ddeu,' 'ddeu.' 다 (dah), 따 (ddah). This (ㅂ) is 'beu,' 'beu,' like the letter B. 바 (bah), 바 (bah). The double 'beu' is ㅃ (bbeu), ㅃ (bbeu). 바 (bah), 빠 (bbah). This (ㅅ) one is like the letter S, 'seu,' 'seu.' 사 (sah), 사 (sah). Double 'seu' is ㅆ (sseu) ㅆ (sseu). 사 (sah), 싸 (ssah). This (ㅈ) is 'jeu,' 'jeu,' like the letter J. 자 (jah), 자 (jah). The double form is ㅉ (jjeu), ㅉ (jjeu). 자 (jah), 짜 (jjah). Now let's review. We discussed five single characters. ㄱ (geu), ㄷ (deu), ㅂ (beu), ㅅ (seu), ㅈ (jeu). And then we discussed the five double characters in Hangul. ㄲ (ggeu), ㄸ (ddeu), ㅃ (bbeu), ㅆ (sseu), ㅉ (jjeu). 꼬 (ggoh), 또 (ddoh), 뽀 (bboh), 쏘 (ssoh), 쪼 (jjoh). In the next video, we will cover the rest of Hangul consonants. See you later. Hey. What up, guys? Let's finish what we've started. In this video, we will cover the following. Remember, these ones do not have double forms. ㄴ (neu), ㄴ (neu). So ㄴ (neu) + ㅏ (Ah) is 나 (nah), 나 (nah). 나 (nah) means 'I' or 'me' in Korean. ㅁ (meu), ㅁ (meu). It's like the letter M.
ㅊ (cheu), ㅊ (cheu). ㅊ (cheu) plus ㅏ (ah) is 차 (chah), 차 (chah). 차 (chah) means 'tea' or 'car' in Korean. ㅋ (keu), ㅋ (keu), like the letter K.
ㅌ (teu), ㅌ (teu), like the letter T.
ㅍ (peu), ㅍ (peu), like the letter P.
So let's go through them one more time. In the next video, we will do some actual practice and read words in complete Hangul letters. See you then. Okay. I think now we are ready to combine vowel and consonant parts together. Let's quickly go over them again one more time. Okay. So I'm going to make things really easy. In this video, we're going to look at some English words or English-based words in Hangul. Now some of these words may not make any sense because they are basically Korean words. 빌 (beel), 딩 (ding). 빌딩 (beel-ding). This is an easy one. 빌딩 (beel-ding) is 'building.' Notice how a consonant shape goes underneath. So each letter here has two consonant parts and one vowel part each. 사 (sah), 이 (ee), 다 (dah). 사이다 (sah-ee-dah). 사이다 (sah-ee-dah) is from 'cider,' like in 'apple cider.' But it actually means a clear soft drink, like Sprite. So "Sprite" in Korean is 사이다 (sah-ee-dah). 아 (ah), 파 (pah), 트 (teu). 아파트 (ah-pah-teu). 아파트 (ah-pah-teu) means 'apart,' meaning 'apartment.' There are lots of 아파트 (ah-pah-teu) in Korea. 슈 (shoo), 퍼 (puh). 슈퍼 (shoo-puh). I don't know if you can guess which English word this is. It's 'super.' 슈퍼 (shoo-puh) means 'supermarket,' a small grocery store. 파 (pah), 이 (ee), 팅 (ting). 파이팅 (pah-ee-ting). 파이팅 (pah-ee-ting) means 'fighting.' When you say 파이팅 (pah-ee-ting), you are saying something like, "Go get 'em" or "Good luck." Another way of saying 파이팅 (pah-ee-ting) is 화이팅 (hwah-ee-ting). It means the same as 파이팅 (pah-ee-ting). 리 (rhee), 모 (moh), 콘 (cohn). 리모콘 (rhee-moh-cohn). 리모콘 (rhee-moh-cohn) means 'remote control,' "remocon." 치 (chee), 킨 (keen). 치킨 (chee-keen). A very easy one. 치킨 (chee-keen) means 'chicken.' But 'chicken' in Korean specifically means 'fried chicken.' When you want to talk about the animal, you'd use a Korean word, 닭 (dahg), 닭 (dahg). Notice how this one has two consonant shapes at the bottom. So that's it. We are done learning Hangul for now. But remember you need to get some practice before you really become familiar with Hangul. So for the next five videos, we will practice reading Hangul with pictures. Take care. See you next time.